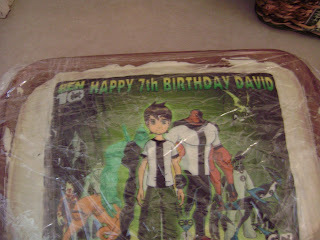 baierlboys: David turns 7 today! So, today we have 12 kids coming and tomorrow we have 15 relatives coming. 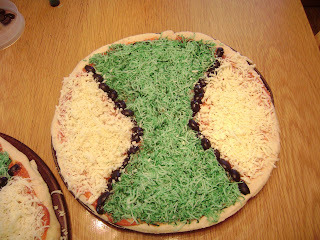 I have made 2 Ben 10 cakes, 2 omnitrix pizzas, 45 water balloons and all the meal fixin's for tomorrow. Both David and Caleb are pumped and are counting down the minutes. Now, I just have to make it thru Nathan's Cardiology appoint and get back in time. But I heard the flooded road is now open so that should help! I can hardly believe it has been 7 years since I became a mom.